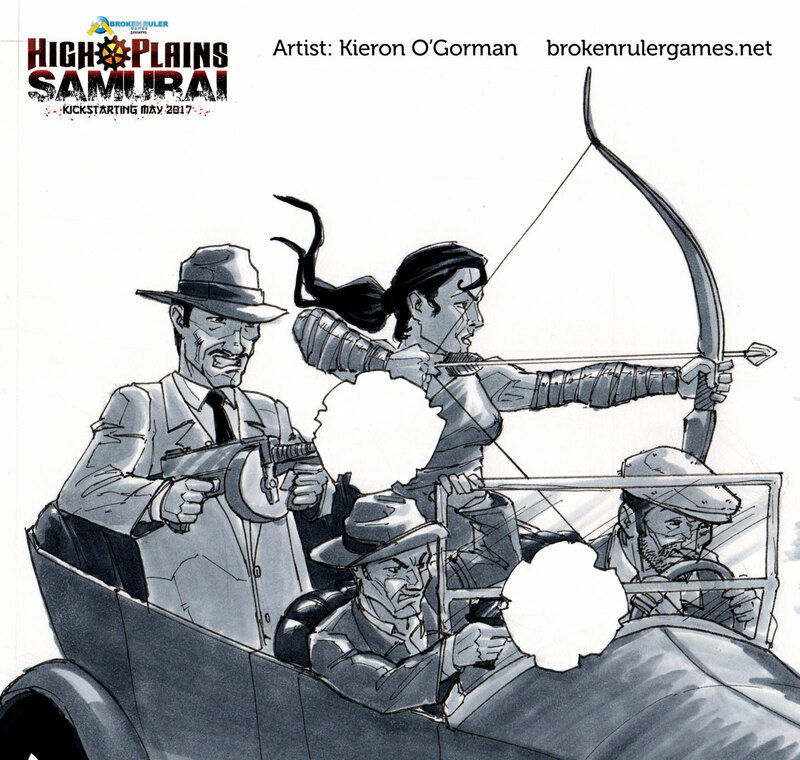 The Rehearsal Edition playtest is now closed but you can back the High Plains Samurai Kickstarter right now! 90% of the layout is complete – almost looks like the finished product! 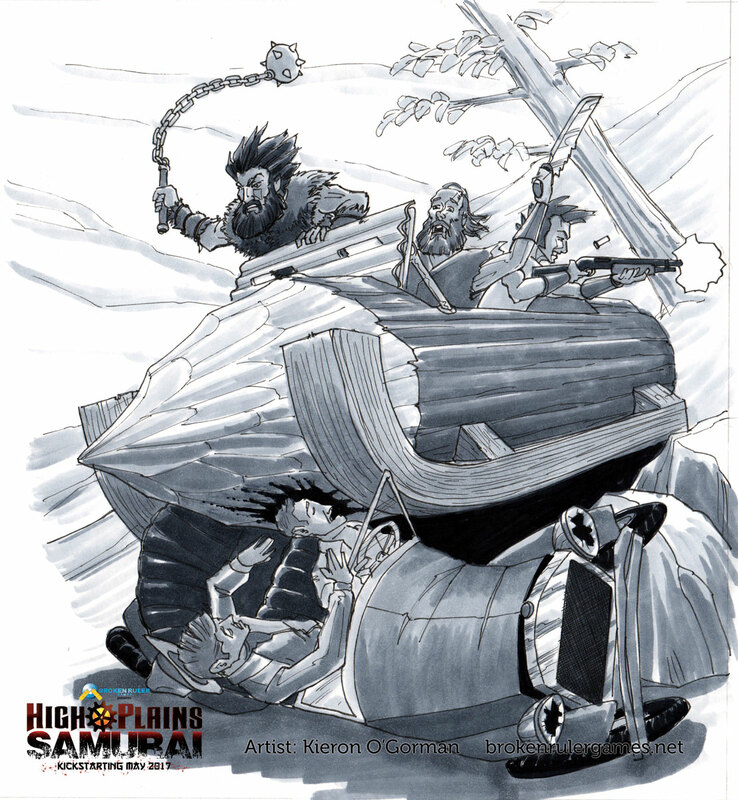 Visit the official High Plains Samurai page to learn more. Many years ago there was only the One Land. One fateful day, Chaos looked down through the clouds and was sickened by its beauty. A world where all creatures were granted purpose to exist and multiply was a appalling sight to him. So he lashed out with all his might. Without warning, the One Land was struck with earthquakes, tornadoes and fires of such magnitude never seen since the Forging millennia before. As ash billowed into the sky and people were sucked into the earth, his children – Honour, Innocence, Balance, Strife and even Patience – came to see what had become of their creation. Shocked by their creator’s homicidal anger they battled Chaos and eventually locked him within the Shard of Hope. The struggle raged in the heart of the One Land and tore it asunder, scarring it with death and destruction from which it would never recover. Amidst this scarred desert, the siblings buried the Shard within a spire of rock now known as Heaven’s Peak and warded it with guardians to ensure the Shard would never break and Chaos would never again roam free. It was here the eldest spirit, Honour, charged a small monastery of humble and dedicated monks with its protection. The Monastery of Divine Hope was built atop Heaven’s Peak, in the arid desert known only as the Wastes. It was here that all of the teachings of the six Spirits – including Chaos – originated. The teachings were spread across the One Land in an effort to guide, encourage and empower the survivors. The Shard of Hope has cracked. 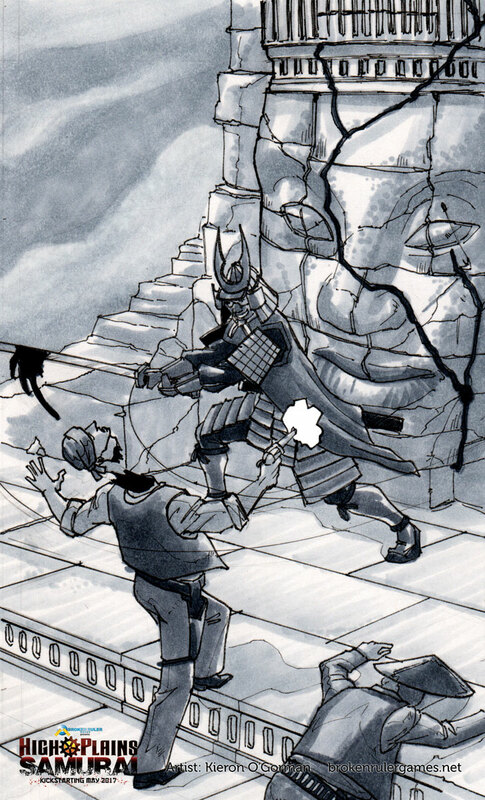 Click here to listen to Openly Gamer Theatre’s radio drama/actual play of High Plains Samurai. 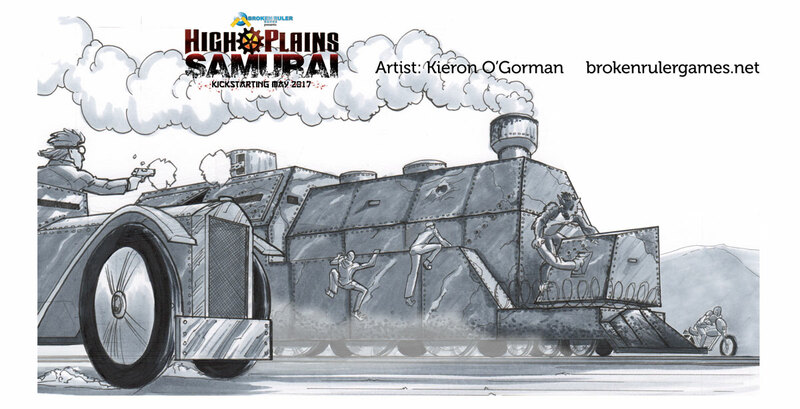 High Plains Samurai: The Rehearsal Edition is a free public playtest for an upcoming high octane story of wire-fu action in a world of gunslingers, samurai, barbarians, gangsters, and steampunk in a post-apocalyptic wasteland created in the wake of a battle of the gods. 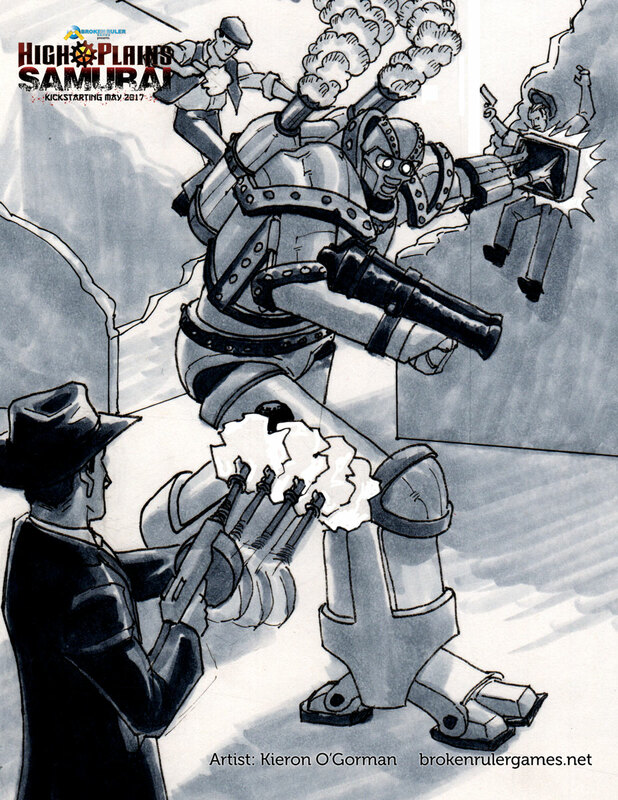 These 84 pages contain the complete rules, character creation guidelines, and a playtest scenario involving a train robbery that can only take place in the One Land. Complete surveys and earn playtest points for a chance to gain bonus Kickstarter when HPS turns to crowdfunding later this year. Told with ScreenPlay, discover what makes this world tick by telling your version of the story to save the One Land from final destruction in the hands of a vengeful bandit leader seeking revenge for innocent blood spilled on sacred lands. Everything you need to experience High Plains Samurai is yours for the taking but the true legend of Black Scorpion will not be revealed until May 2017. The Salvation stops for no one, no matter how hard they try. Never underestimate the barbarians of Khar’tep. If the jungle doesn’t kill you, the guardians of Monsoon surely will. Warmechs guarding the surface ruins of Rust have a deadly track record. Sword vs. bullets: who will win? If a barrage of bullets doesn’t do the job, a well-placed arrow will. 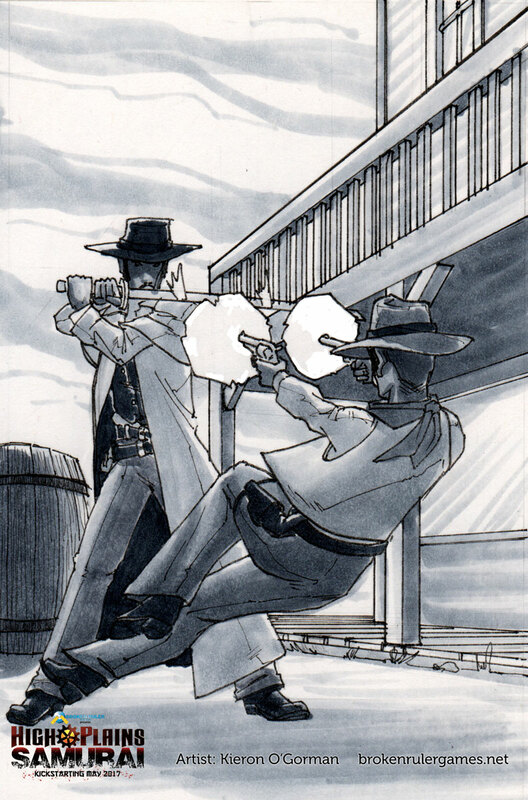 “This is a great western samurai setting that goes with a great game system. If you’re interested in a psuedo post apocalyptic setting with strong Japanese Western influences, this is the game for you.” – Ben S.